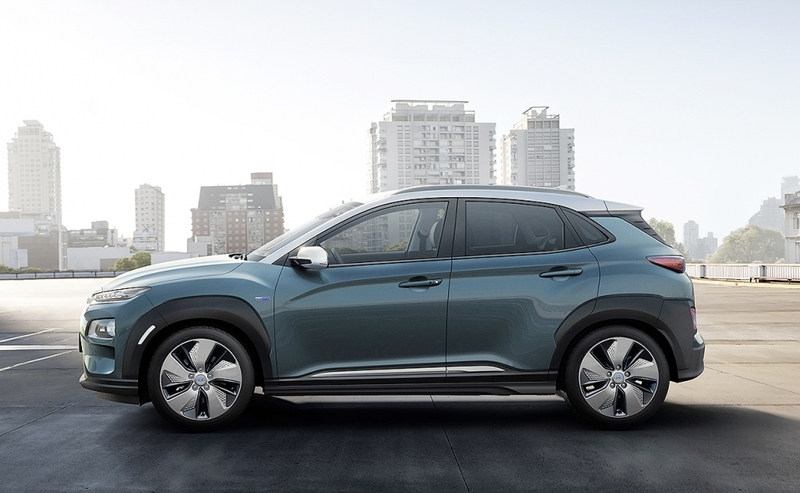 Hyundai will offer the full-electric version of its Kona with a choice of performance when the battery-powered version of its small SUV goes on sale in Europe this summer. 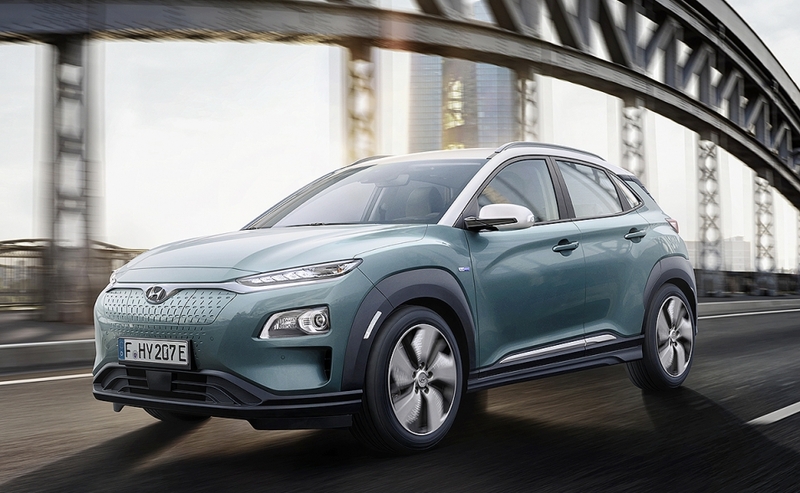 The top-performing Kona EV will have a 64-kilowatt-hour lithium ion polymer battery that provides a single-charge range of 470km. The base Kona EV has a 39.2-kilowatt-hour battery and a 300km range, according to Hyundai's internal test results based on the WLTP standard. The more powerful Kona EV accelerates from 0 to 100 kph in 7.4 seconds, according to Hyundai, compared with 9.3 seconds for the base EV. Both EVs deliver 395 newton meters of torque and a maximum speed of 167 kph. The Kona EVs, which will make their public debut at the Geneva auto show next week, will go on sale at the end of the second quarter with deliveries starting in July. The automaker launched its fuel-powered Kona late last year. 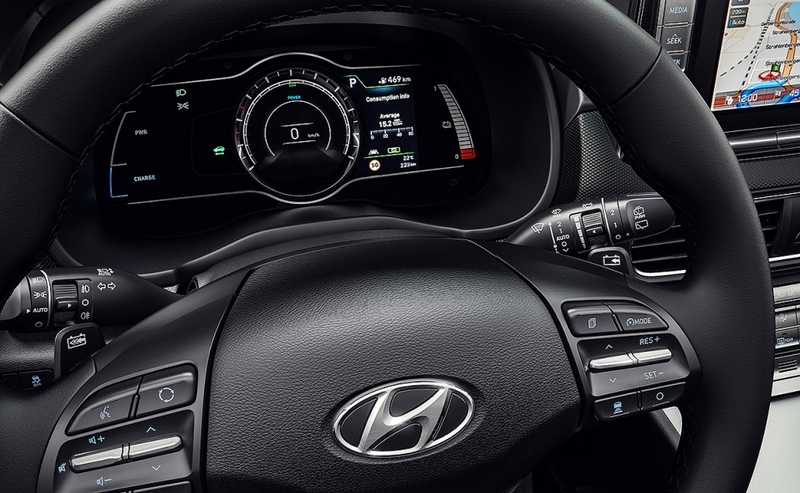 By 2020 Hyundai's model range will include 15 so-called "eco" models, Hyundai Europe President Hyung Cheong Kim said at the 2017 Frankfurt auto show, adding that 10 out of these 15 vehicles will be available in Europe. 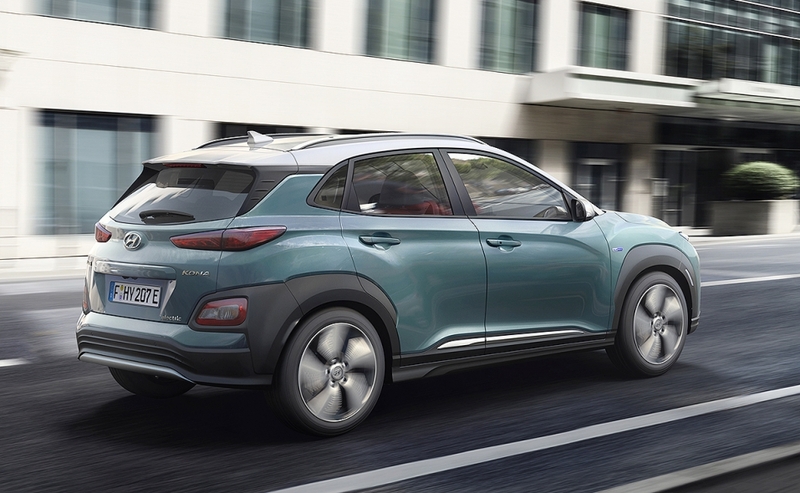 Hyundai current offers full-electric, plug-in hybrid and hybrid versions of the Ioniq and a fuel cell version of the ix35 SUV in Europe. The new Nexo fuel cell SUV will also be shown in Geneva and launched in Europe later this year. 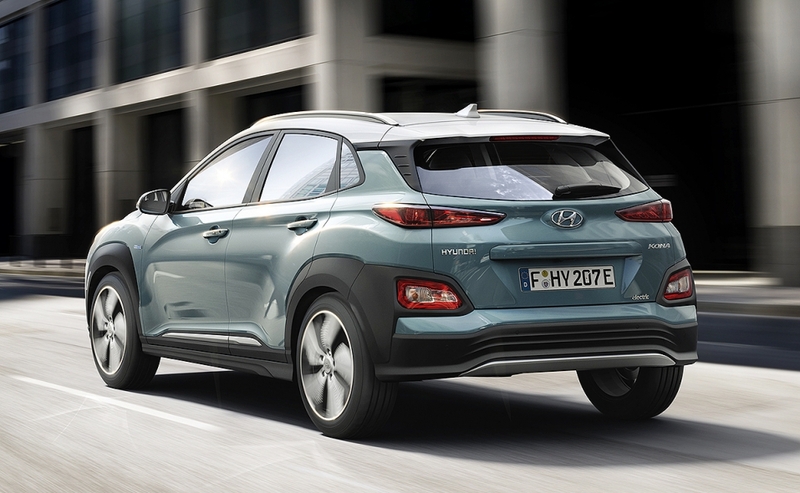 The electric Konas will be aimed primarily at European countries with a strong interest in EVs, Hyundai said. 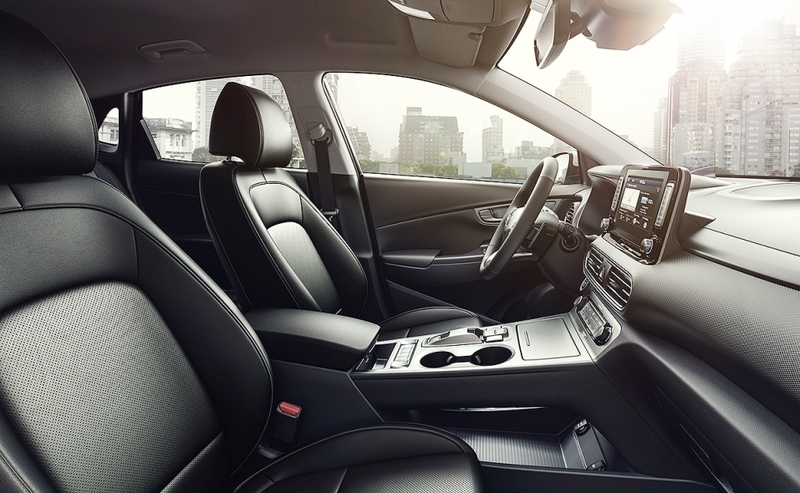 This includes Germany, the UK, France, Switzerland, Austria and the Nordic countries, the automaker said. 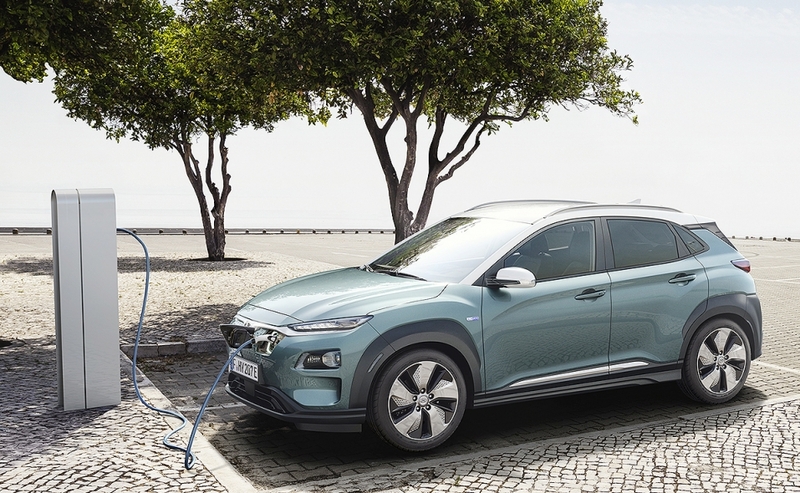 Hyundai said the Kona EVs can be charged to 80 percent capacity in 54 minutes using a 100 kilowatt direct current (DC) fast charger. To fully charge the EVs using alternating current (AC) takes 9 hours and 40 minutes for the long-range battery and 6 hours and 10 minutes for the shorter-range battery. 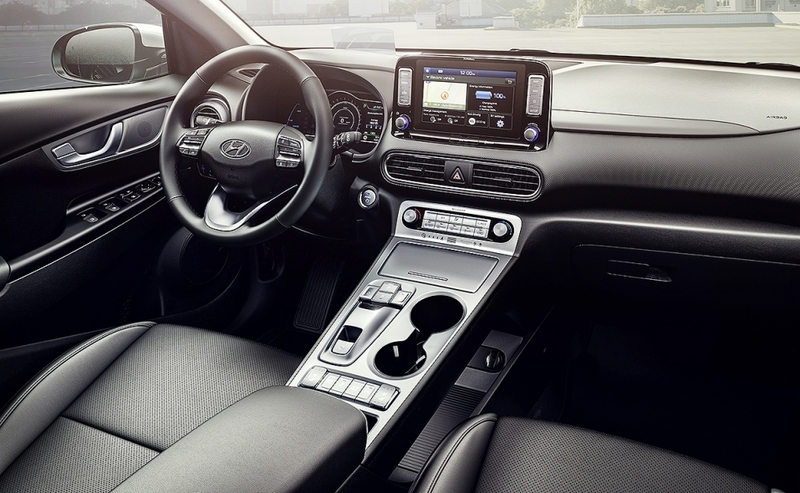 The car is also rechargeable using a household power socket, but Hyundai didn't provide charging times for the EVs. The electric Kona has a different front grille compared with its fuel-powered siblings. It is also 15mm longer (4180mm) and 20mm taller (1570mm).